Propeller Z have been commissioned to remodel 200 years old farm house located in Fahndorf, Austria. The owner want to transform the old house into contemporary design. 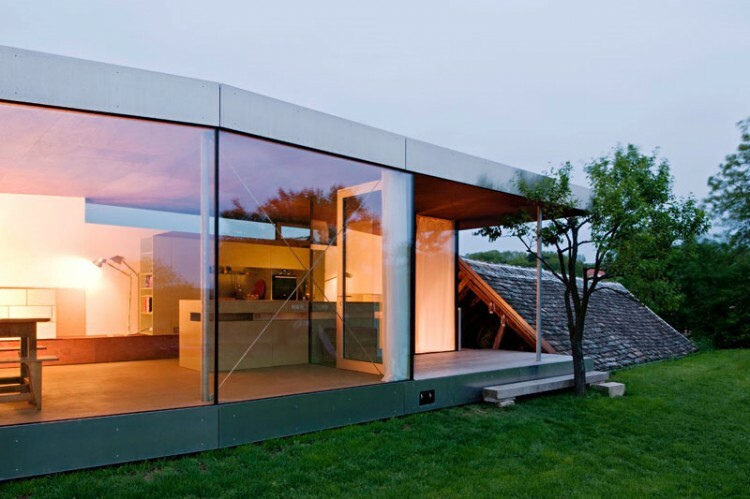 The result as you see below, a beautiful modern farm house with large glass window in gorgeous natural landscape. Propeller Z has successfully added a new contemporary addition which becomes sort of transition between the old past time and the new architectural age. The old house design seems to be buried in the ground while the new one is elevated. What’s a brilliant idea to applying it in this house. It called a transition and surely show a great connection how the upper level resembling the new age and the down is the old time. The new additional of contemporary building has a kitchen, a living room and floor to ceiling windows to communicate with indoor as well as outdoor. This house has special wood stack that designed also as decorative element.